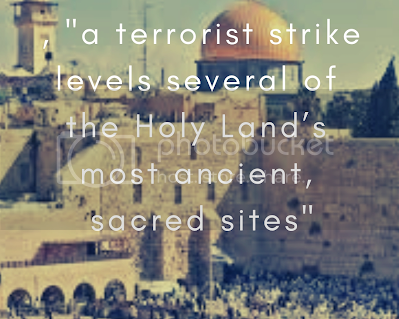 As Rachel Williams, a renowned television journalist, covers the signing of a historical peace accord in Jerusalem, a terrorist strike levels several of the Holy Land’s most ancient, sacred sites – sites important to Jews, Christians, and Muslims alike. As international tensions rise due to the incident, Rachel finds a long-forgotten email she received months earlier foretelling these events. An email she dismissed because it came from a man whom she considered a religious nut. 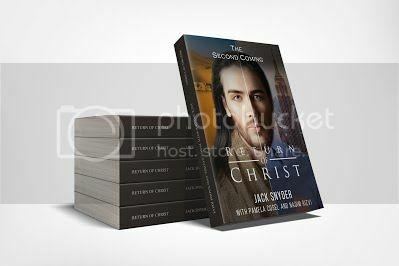 When Rachel locates the sender, he gives her a Bible containing handwritten notes deciphering the Book of Revelation. 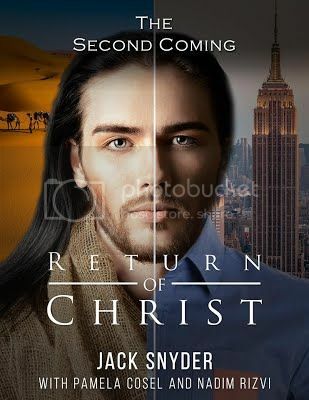 After another terrorist attack occurs – one written about in the man’s notes – Rachel embarks on an adventure of spiritual discovery that leads to unraveling the greatest mystery of all time: The rise of the Antichrist and the return of Jesus to Earth! And where she, an agnostic, plays a significant role in the Biblical End Times and the Battle of Armageddon. Jack Snyder is a prolific award-winning screenwriter with eight produced screenplays under his belt, three of which he directed. His films have been distributed by major studios and have shown theatrically and aired on major cable networks. The Academy of Motion Picture Arts and Sciences – the Oscar folks – requested a copy of one of his screenplays for its Core Collection, to be used for research and study purposes by producers, academics, and students. In his free time, Jack likes to hang out with his family and their two Chihuahuas on Zuma Beach in Malibu. Syed Nadim Rizvi is a writer and community-leader who is best known for his great communication skills. He’s multilingual in English, Urdu, Punjabi and Hindi languages. And is an excellent orator within the Muslim community. Nadim is concerned with the current tensions and misunderstandings amongst the followers of the Abrahamic traditions (Judaism, Christianity and Islam). It is for this reason he has studied the Holy Quran thoroughly with English and Urdu translation. He wanted to investigate for himself the true meaning of the Holy Scripture and not be influenced by others, particularly those who negatively distort the image of Islam. He has devoted his life towards promoting peace and harmony in the world.